The fossil was unearthed 11 years ago in northwestern China. In 2018, paleontologists led by Alida Bailleul of the Key Laboratory of Vertebrate Evolution and Human Origins in Beijing took a closer look, and noticed something odd: The bird had a strange sheet of tissue between her pubic bones. Examining a piece of the tissue under a microscope, Bailleul found that it was from an egg. 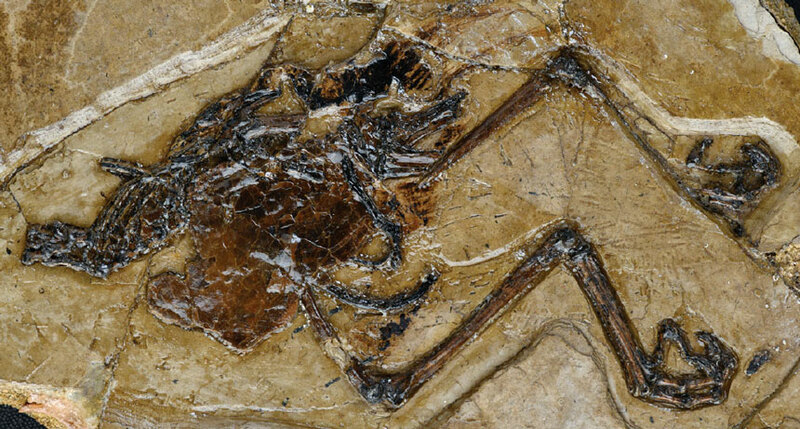 The bird, a newly identified species, was named Avimaia schweitzerae in honor of paleontologist Mary Schweitzer’s work on fossilized soft tissues (SN: 12/24/16, p. 15). Further analyses revealed more surprises. The mother bird’s skeleton contains traces of medullary bone, a calcium-bearing tissue that aids in eggshell formation (SN: 4/16/16, p. 16). It’s the strongest evidence yet that ancient birds produced this tissue during reproduction. And the egg’s cuticle, the outermost layer of shell, contains tiny mineral spheres similar to spheres in the egg cuticles of modern waterfowl such as quails and ducks. The spheres, thought to protect embryos from microbial infections, have never before been seen in any fossilized eggs. But all was not well with this bird and her embryo. The eggshell has two layers instead of the usual one, suggesting that the egg had remained too long in the abdomen. And the egg’s layers are extremely thin, thinner than a sheet of paper. In modern birds, particularly small birds experiencing extreme stress, these symptoms can indicate a deadly condition known as egg-binding, in which a bird is unable to lay the egg. In fact, the researchers suggest, the unlaid egg may have ultimately killed the mother.